King Street car to John St. or Subway to St. Andrew Station, then walk through “PATH” to Metro Hall or walk above ground 2 blocks west. 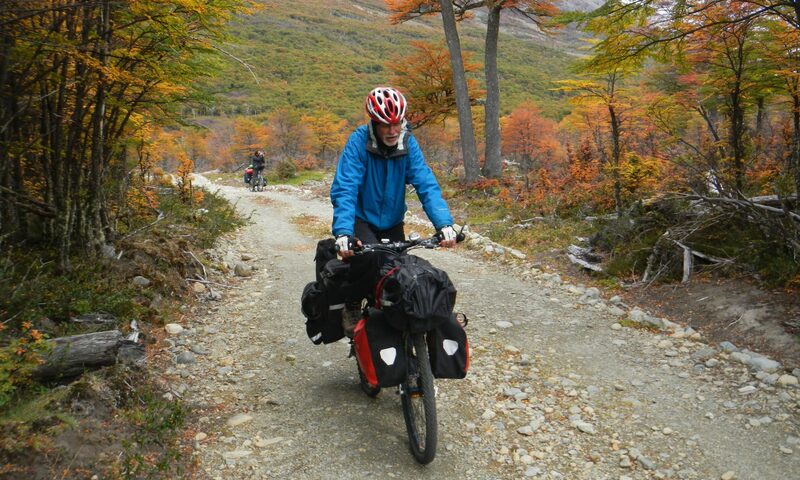 Peter Brother, one of our Toronto Bruce Trail Members, will give his slide show presentation outlining his 20-month adventure, cycling 13,000 km. through the Americas. Starting in Kluane Junction in the Yukon Peter travelled to the southern-most city in the world, Ushuaia, Tierra del Fuego, Argentina. 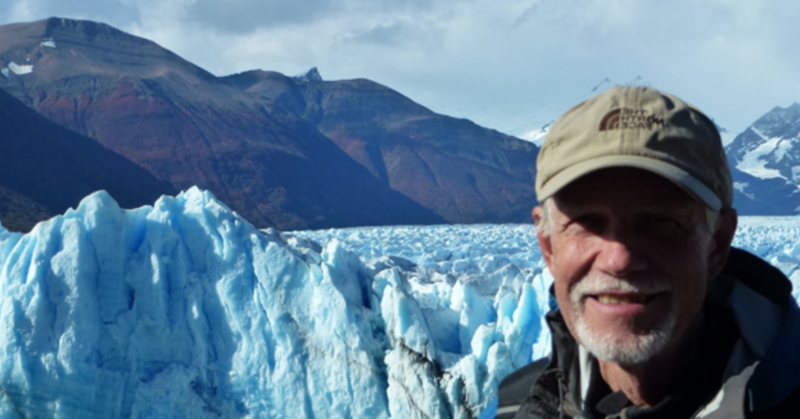 Peter turned 70 while on his journey and he hopes to inspire others to follow their dreams. He taught meditation and yoga in Mexico, Nicaragua and Peru, visited Machu Picchu, trekked in the Cordillera Blanca, trekked in the 2nd deepest canyon in the world and visited one of the few glaciers that are still growing. He met many amazing travelers and the people of Latin America – friendly people everywhere he went. Come and listen to his stories of adventure and see some of the most beautiful scenes of Latin America. We will also be planning a pub visit after the presentation to continue the event. Attendees will be polled to decide the location, then possibly a visit to Shoeless Joes across the street for refreshments and further discussion. This will allow you to meet and question Peter about his past and future adventures in more detail. Keep abreast of this event through E-Notes. 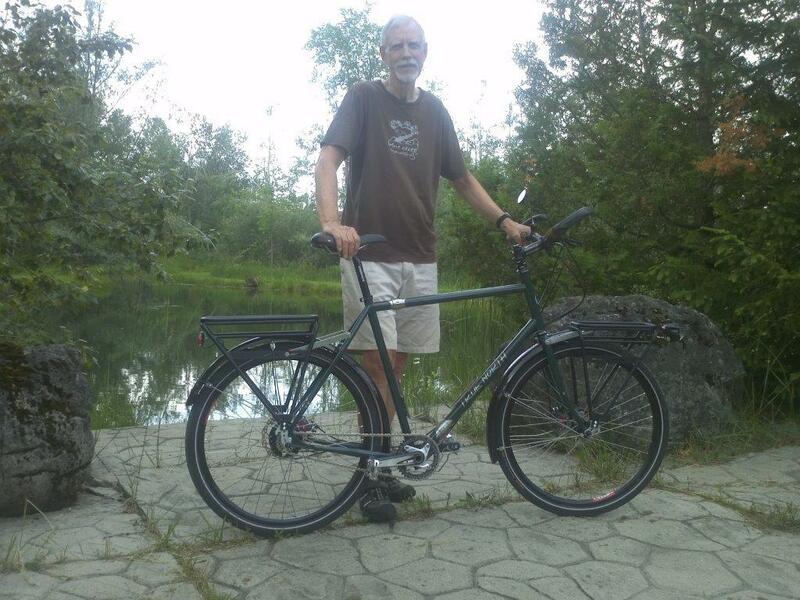 This past summer I received my new custom made touring bike from True North Cycles – http://www.truenorthcycles.com/ . The bike has an internal Rohloff hub with 14 speeds. It hopefully means less maintenance and greater longevity of the chain. It also has S & S couplers, which means I can ‘break’ it into two parts and pack it in a 30” x 30” case. No more bike charges on the airlines. I have done two tours over the summer and it has been a delight to ride the bike. in July I toured the Waterfront Trail from Niagara Falls to Windsor. From mid August to end of September I visited my friends Mike and Karen in Edmonton, who I met in Oregon. We cycled together for a week. I then spent a week in Jasper and a month visiting my son Jonathan in Victoria where I toured the gulf Islands and San Juan Islands during the week and hung out with him on weekends. 1) Drop in for a day or a week or as long as you wish. Check website for daily rates. Yoga classes will be offered early in the morning before breakfast and late in the afternoon – $10 per class. Airfare to Costa Rica extra. Transportation from and to the San Jose airport is additional. Options include being picked up by bus from San Jose airport (cost to be determined ) or fly to Quepos and be picked up there by a bus/taxi. We will have one day off so that you can take a tour and have dinner out. A number of you have expressed interest in coming for the retreat. Please let me know ASAP if you are interested so we can plan. Deadline for expression of interest October 15th. Deadline to register October 31st. Space will be limited to no more than 12 persons. Please contact me at this time either via email or phone – 647-720-1530. Registration details will be provided shortly.